A construction worker dies on I-35 and police cuff the driver. 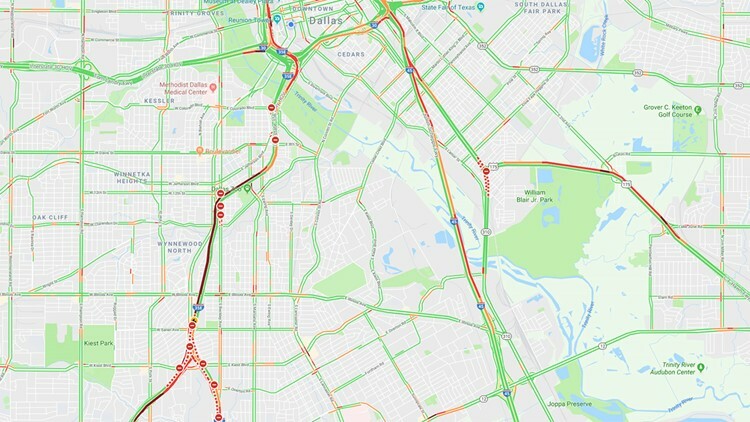 DALLAS, TX — Southbound lanes of I-35E at Overton Avenue were closed throughout the morning Thursday after a construction worker was killed in an accident in Dallas. Police say a driver of a pickup truck struck a metal highway sign that was being hoisted onto an 18-wheeler. The sign then struck the construction worker, who was pronounced dead at the scene. The driver was arrested on suspicion of driving while intoxicated.